How do we deal with those low-ballers that are always competing with you on price. The first is that you could compete with them. But that’s crazy because if you’re competing on price no one will win. You’ll both just keep reducing your prices to become lower than the other. It’s pointless. It will just continue spiralling until people go out of business. What we do instead is focus on being better. Compete on quality and on service. I’m going to share with you three things you absolutely should be doing to beat your competitors in quality. I recently made a video explaining exactly how you can get around this. You can watch it here. In every communication you have with your client, focus on quality, service and value. Make sure what you do is better than your competitors. Then communicate that in your marketing. You need to make yourself seem different from the rest, you need to stand out. 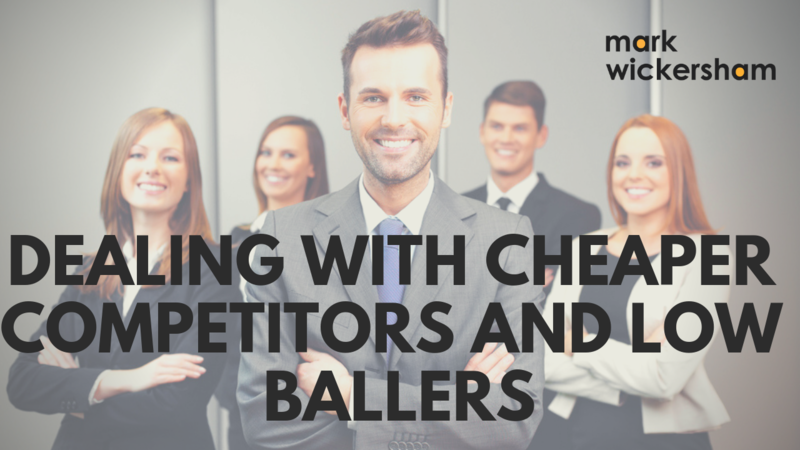 If what you are offering is exactly the same as your competition then the customer will simply go for the cheaper option. So make sure you have something more to offer. Many customers would even be willing to pay more if they felt they were getting something in return. When we focus on quality and service, we are adding more value to the customer, and for that they will pay more. Number 2 - What extras can we bundle in? Can we create some bundles or some packages? If we can build more in, we will be seen as doing more and providing more. Interestingly, this was a strategy done by McDonalds back in the 1980s. They bundled food together in a meal deal, giving a burger, fries and drink in one package. People that were sensitive to price could get what seemed like a better deal. People that were less sensitive to price could just get what they wanted and happily pay a higher price. So we can use bundling to make our offerings seem different to our competitors. It’s a fact of life that we perceive a link between price and quality. You can’t get the same quality for a lower price. So, if you go for the cheapest option “you get what you pay for”. When you pay too much, you lose a little money - that’s all. But if you pay too little, you sometimes lose everything because the thing you bought is incapable of doing what you bought it to do. So the common law of business is you can’t pay a little and get a lot, it just can’t be done. Remember that quote because it may be a phrase you want to use as part of your price conversation. If you deal with the lowest bidder, then it’s as well to add something into your budget for the risk you run. And if you’re going to do that then you might as well spend more money in the first place. 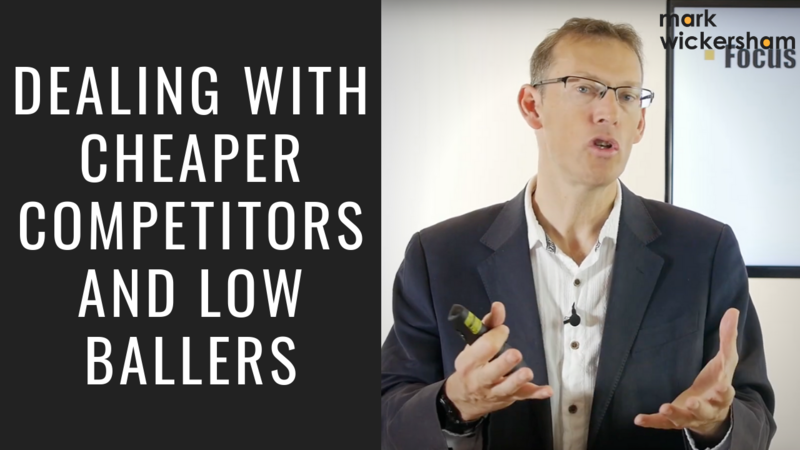 If you want to find out more about how you can deal with cheaper competitors, I’ve written a chapter with many more strategies in one of my books, it’s called ‘Price: The Fastest Way to Change Profits’. You can find it here. And if you want to join my Facebook Group “Value Pricing for Mark Wickersham” click here and join a community of like-minded accounting professionals learning how to price better.